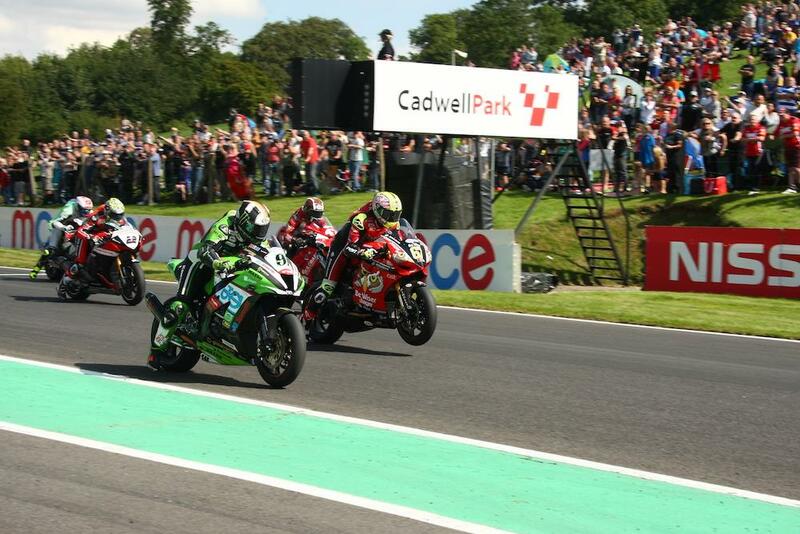 Shane Byrne took his first victory at Cadwell Park since 2003 this afternoon with a stunning last lap move on rival Leon Haslam in the opening MCE British Superbike race. Starting from second on the grid, a perfect start saw the booming Ducati take the lead into the first corner but Haslam would barge his way past at the end of the back straight. Haslam’s lead was short lived after he lost three places following a missed gear into park on lap four. Regrouping, it took the JG Speedfit Kawasaki man a couple of laps to get past Honda’s Jason O’Halloran for second place before making a charge for Byrne, who was trying to run away at the front. Reeling in the four-time champion in just two laps, Haslam broke his nine-year-old lap record with a time of 1’26.590. Re-taking the lead on the brakes at Park on lap nine, Haslam would build a one second gap before slowing the pace in order to conserve his soft tyres. Meanwhile, Byrne had lost second to O’Halloran, allowing Haslam to maintain his gap at the front. However, once Byrne had passed the Aussie he was soon on Haslam’s tail and while the Ducati had the pace with Haslam suffering from tyre wear, the former WSB-star gave Byrne a hard job in pulling a pass. It would go down to the last lap with the duo and Haslam looked strong as he defended his line into Park but then went deep on the way in to Chris Curve allowing Byrne to make a bold move up the inside to win the race. O’Halloran managed to hold off a charging Tommy Bridewell to complete the podium with Glenn Irwin taking a strong fifth place. James Ellison crossed the line sixth ahead of team-mate Peter Hickman with BMW trio Richard Cooper, Jake Dixon and Michael Laverty rounding out the top ten.